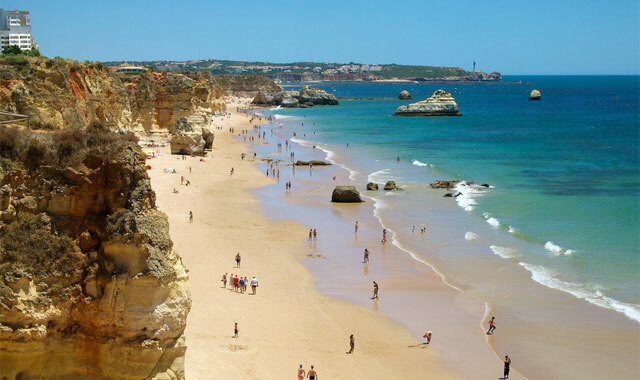 With a vast and spacious beach, which extends for more than 1Km protected by warm and aesthetically cut cliffs, Rocha is the vacation spot chosen by more and more vacationers, making it one of the most popular beaches in the country. Having been the subject of a redevelopment project, the beach now has a wide network of walkways that run through almost the entire beach. 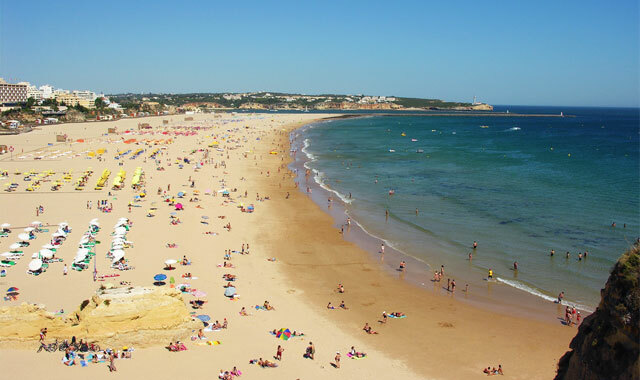 In the avenue that follows the shore line of Praia da Rocha, there is a succession of hotels, bars, outdoor cafes, nightclubs and a casinos, culminating in the marina of Portimão, diversifying the touristic offers and lending much color and life to the beach. There are a few places from where you can enjoy a scenic sightseeing, the Three Castles to the West and the Fortress of Santa Catarina de Ribamar to the East. A fabulous panoramic view of the coastline can be seen between João D'Arens point and Ponta do Altar lighthouse. Despite the strong urban component that characterizes the environment of Praia da Rocha, both the grandeur and the beauty of the natural landscape still seems to prevail. Access: There is a tarmac road to the beach through the city of Portimão, following the signs to Praia da Rocha. There is an organised parking area near the beach, which has a wide variety of different support facilities (restaurants and toilets) and is supervised during the bathing season. The beach is classified as an accessible beach and faces south/south-west.